March or Marchy, but don’t call me late for dinner! and Montreal. I know. I can feel your pity already. Oh mama knows, child. Mama knows her hockey. things in the hockey world that I think people should know and be aware of. ANYWAY. Now that the introductions are out of the way, let’s get a move on! year eh? Nothing says “rebuilding mode” like a change. Of course we all knew this had to happen. of Lord Stanley, but none of the Canucks’ lucky stars lined up to give them a break either. players won’t be afraid to talk to and most importantly, he’ll have their respect. to you that they have what it takes to make that playoff run. 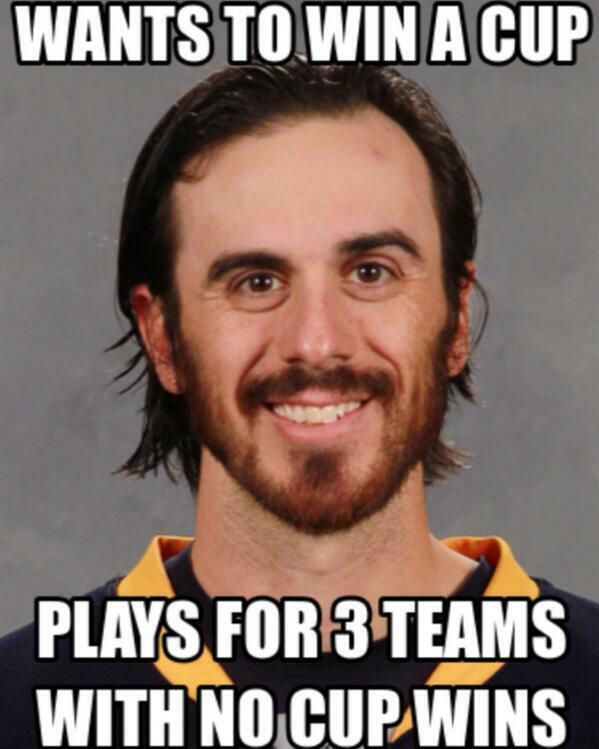 and probably would’ve traded him for a new washing machine (Fun fact: that actually did happen to Andy Bezeau. Remember him?). 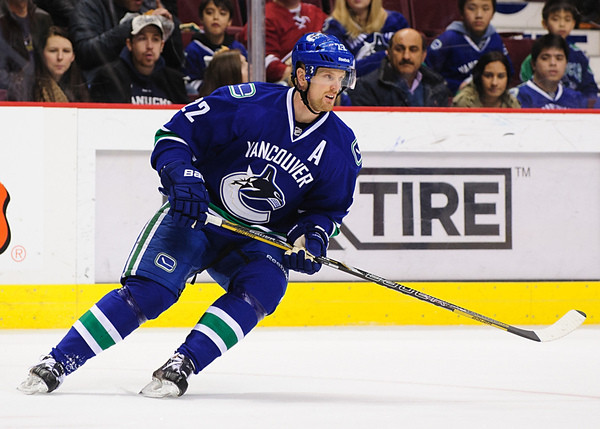 Reports are suggesting he’s going to start the year on the second line with Chris Higgins and Nick Bonino, which tells me that the Canucks expect Burrows to pitch in in a big way again this year. Not only that, but Willie Desjardins has already took him under his wing and solidified a bond if you will – something that John Tortorella never did until halfway through the season last year. His head is already going to be in the right place compared to last year, and that’s not even taking his broken jaw. Stay away from the damn injury bug and he’ll do alright. Oh boy. I don’t know man, I just don’t know. I want to believe…. saga is going to play out. 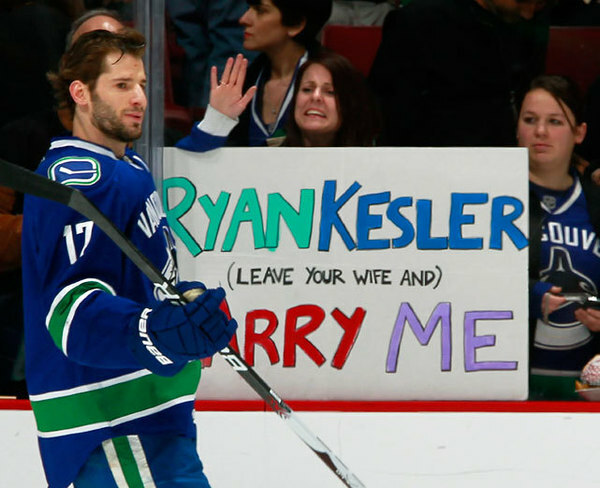 that may have led to him being a part of the Ryan Kesler trade. Anyhow, there’s just something about him that I like. All in all, let’s get ready for what should be one heck of an interesting season. Let’s drop the puck. The East Coast Hockey League has absorbed the seven teams as the Central league folds. The ECHL will now ice 28 teams. And this, my friend, is a blessing to minor league players. CCM decided to make the Colorado Avalanche’s Nathan McKinnon race Canadian Olympic short track speed skating Gold Medalist Charles Hamelin. Turns out lovely. Who doesn’t like a good hockey fight? Here’s Cornwall River Kings Mario Joly coming to the aid of his teammate in an LNAH pre-season scrap. He got suspended one game for this. Sony Pictures is coming out with a 1980’s documentary on the Russian Red Army team. Here’s the trailer. An open conversation about mental illness and hockey helped save a player’s life. Looking forward to your future articles. Dope. 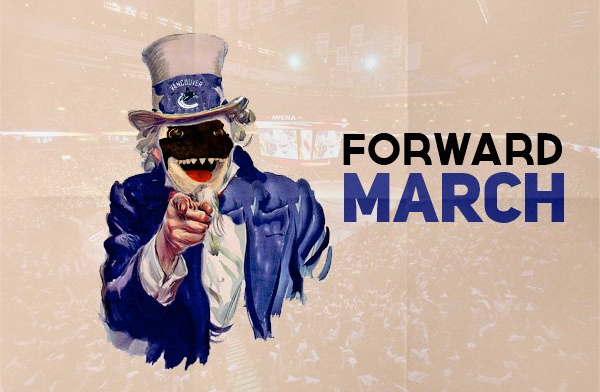 marchhockey.com is the business. Excellent work. Welcome to CanucksArmy! Another really good article. If people still haven’t read some of her articles then I urge you to do so.